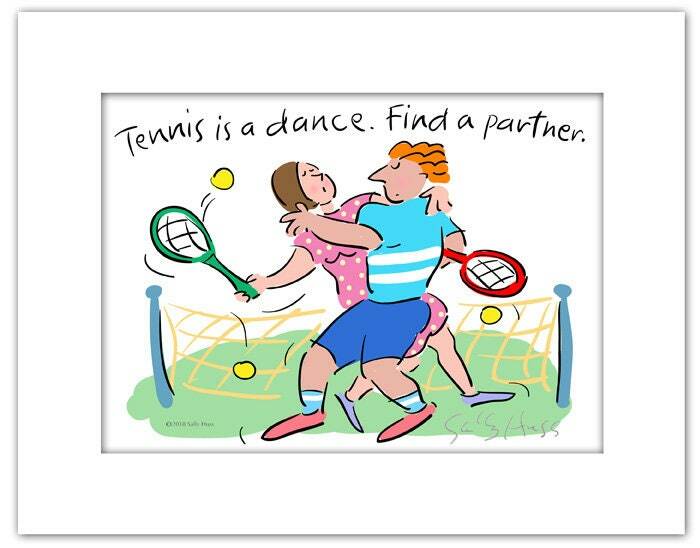 Ah, to dance when you play tennis is the secret to great fun... and better tennis. That's what I have found to be true. This is a fun gift art piece for any tennis fan. It is hand-signed by me. The outside dimensions are 8"x10" and it will fit perfectly into a standard frame. Enjoy!